I had dreams of stopping at the Arizona state sign, but since it was on a freeway where most were going over 75mph, including truckers, I decided against it. We arrived to Arizona with the destination of Quartzsite. Our goal was to boondock (camping in an RV without any hookups) for a couple of nights in the middle of the desert. Arizona allows free or nearly free camping on their BLM land in the winter, so we decided to take them up on their offer. Winter in Quartzsite is where ALL the RVers go. We just missed all the hoopla; so the flea markets were quiet and their wasn't as much going on in the little (and I mean little town). That was all fine with us, we really just wanted to go camp out in the desert with us and maybe a few other RVing neighbors. 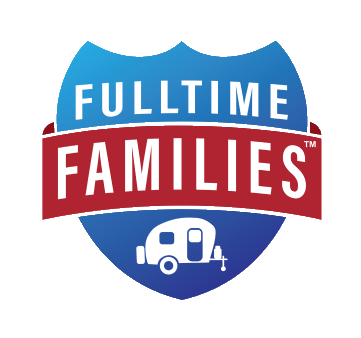 We stopped at the RV Pit Stop, filled up our propane and fresh water tanks, bought some ice and filled up our drinking water jugs with RO filtered water for just 25cents a gallon. The RV Pit Stop had a great set up and they got us in and out quickly. We drove north a few miles to the Hi Jolly camping area. We opted to camp in one of the 14 day free areas since we were only staying for a two nights. There is also LTVA that has dump stations, bathrooms and laundry facilities, it costs $40 for 14 nights there. Since we were not needing any of those amenities we chose the free camping. Pulling in we stopped at the camp hosts area, filled out a form and went to choose our site. Now this is not a traditional campground, there are no site markers our specific directions to park, only a wide open desert with markers when you have reached the end of the camping area. Nick pointed ahead to the left, I shook my head yes, he pulled up, stopped the van and there you have it we were home for the next two days. The children jumped out of the car and were climbing trees, looking for lizards and making a campfire area within minutes. That afternoon we walked all over, looking at cactus and other native desert plants. I thoroughly enjoyed the warmth, it fed my soul. The sunset that evening was a gift from God, so beautiful setting behind the desert mountains in the distance, it didn't last long enough. The children were all excited when sun was completely down because that meant it was campfire time. Our second day in Quartzsite we went into town and looked at a few of the vendors. We didn't find much that we couldn't live without, but I did find a few beads for my dreadies. It started to get really windy in the afternoon so we headed back to camp. We spent the afternoon painting rocks and catching lizards. The wind continued and made it a little difficult to enjoy being outside. We had plans to cook dinner over the campfire, but in efforts to not light the entire desert on fire we decided it was best to cook inside. We did take a few more walks and enjoyed our rural surroundings, the next day we were heading to Phoenix! Photos from Quartzsite, AZ here.